Confraternity of Christian Doctrine (CCD) is the method used to enhance and educate our young people in our faith. All youth is encouraged to attend class on a regular basis. This also includes the preparation of the sacrament of Confirmation and Holy Communion and First Reconciliation if they are not attending the catholic school. 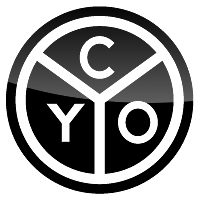 Christian Youth Organization is a social organization for all high school youth to promote wholesome activities in various aspects of their lives through Church, serving in the capacity of various ministries, active participation in the Mass; Community, helping with happenings in the area; and becoming acquainted with youth from other parishes by attending the state and national conventions.